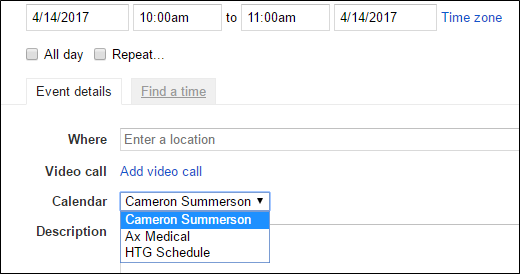 Google Calendar is undoubtedly a powerful tool for managing everything from appointments to schedules to reminders (and everything in between). As good as it is by default, there are things you can do to make its notification system even better. While we’re mostly focusing on Calendar’s web settings, some of the tweaks we’re going to talk about can also roll over into the mobile app, so you won’t miss a custom notification just because you’re away from your PC. Fortunately, there’s a setting to change the style of notification from a popup to a native Chrome notification. This generates a small tooltip-esque notification in the system tray on Windows or Chrome OS devices. From there, look for the “Notifications” section. Enable the “Use browser notifications instead of interruptive alerts” option. Once enabled, you can also choose to have the browser play a sound if you’d like. Unfortunately, you don’t get to pick the sound. Finally, click the “Save” button at the top to make the change stick. It’s also worth noting that since this is a web setting, it syncs with your Google account, and will generate this style of notification on all computers you use. Personally, I use multiple calendars within my Gmail account—I have my personal calendar, one for my kids’ appointments, and one for managing my work here at HTG. I don’t necessarily need notifications for every last one of them, so I’m glad Google offers tools to granularly handle notifications. 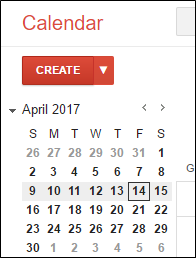 From here, click the “Calendars” button at the top. Your calendars are listed here, with custom settings for each on off to the right. Click “Edit Notifications” to the right of whichever calendar you want to modify. 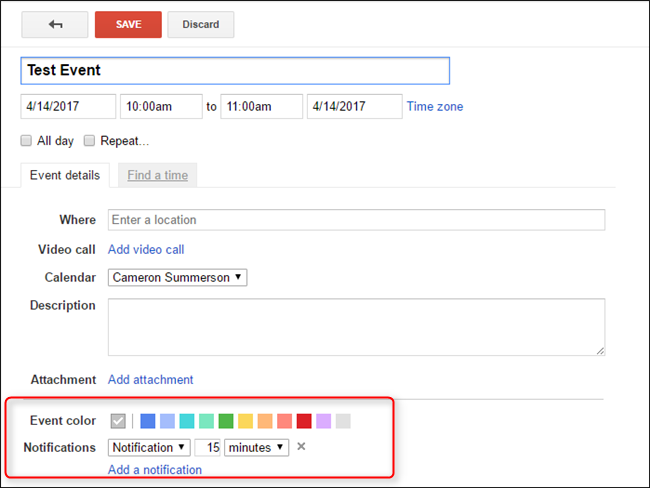 Event Notifications: Change the default notification setting for newly-added events. The default is 15 minutes before. All-Day Event Notifications: This is the default setting for all day events. The default is 11:50 PM the night before, as well as 4:45 PM the day before. 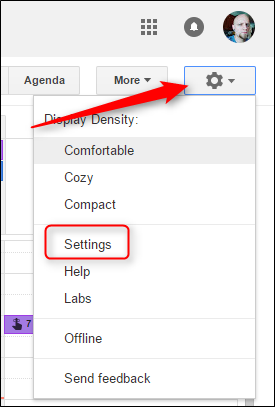 Shared Event Notification Settings: Toggle email settings for shared events. These are pretty straightforward, but it’s worth mentioning that you can remove all of the notification settings if you’d like, then control each new event on an as-needed basis. This can be useful if you only occasionally need notifications for events on a particular calendar. To do this, simply click the “remove” button to the right of the event settings. When finished, don’t forget to click “Save” at the top. Not all events are the same, nor do they all require the same amount of notice (if any at all). So there’s also the simplest option here: tweak notification settings as you create events. When you create a new event—which you can do on the web by clicking the “Create” button on the left-side pane—there’s a Notification section near the bottom. You can change the color of the event, as well as the notification settings. This includes adding or removing notifications from this particular event, as well. Note: If you change the calendar for this specific event during creation, it will automatically take on the default notifications you set earlier. 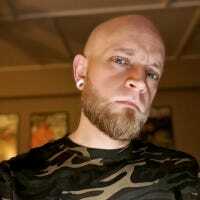 You should also be aware that any changes you make here are specific to this event only. It will not change any of the global defaults for any of your individual calendars. This is nice for when you have an event that’s outside the norm for your usual schedule and want some sort of notice. Okay, this one may be deviating slightly from the topic at hand, but we still feel like it’s worth at least noting here. 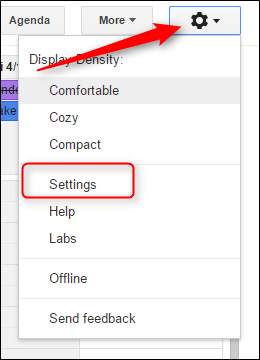 Click the “Calendars” button, then disable the “Show in List” option for the calendar you’d like to hide. Without Google Calendar’s events and reminders, I honestly don’t know what I’d do. I mean, aside from never be anywhere I’m supposed to be, and never on time. I love these granular notification controls in Calendar, I’m just ashamed to admit how long it took me to find these settings and actually start using them. Hopefully you won’t suffer that same fate now.